Thank You To A Great Year of Books! 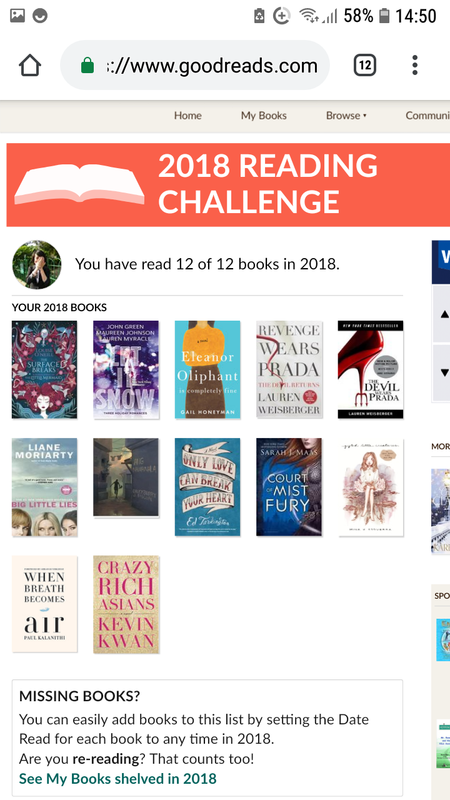 I've completed my 2018 Reading Challenge! I've read at least 12 books! I'm sure I've read more than that but I haven't been updating my account regularly, he-he! Here's to more wonderful reading in 2019! Happy New Year! Thank you, Lord, for all your blessings.